December 3 & 4, 2011 from 11am – 5pm. Peace, Love and Good Cheer! Just want to let you know that we received the replacement platter today. It arrived in perfect condition and we love it. Of course, it is more than a platter. It is a work of art. Thank you for packing it so carefully and for your beautiful creation. This entry was posted on November 26, 2011 at 5:18 pm and filed under Uncategorized. You can follow any responses to this entry through the RSS feed. You can leave a response, or trackback from your own site. 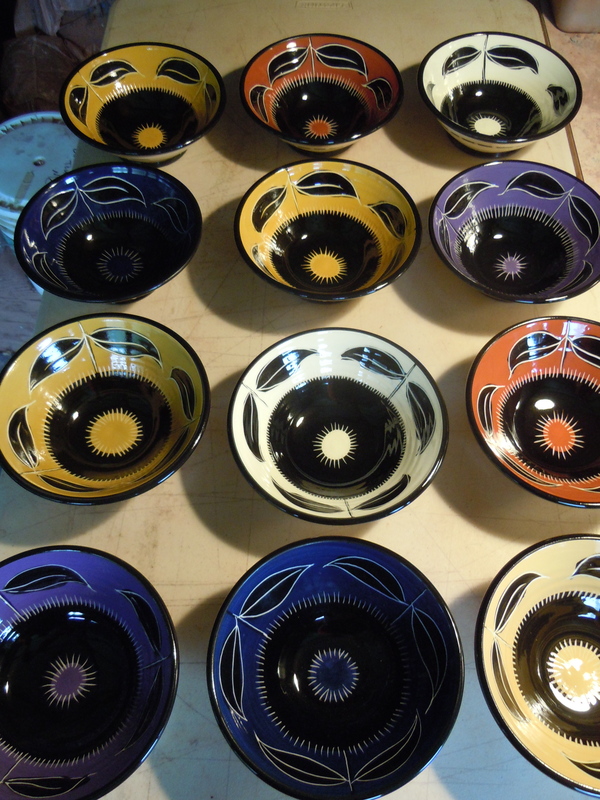 « handmade, hand-painted earthenware pottery.